For the past several weeks, we’ve focused our Featured Member articles on each of the 2012 Chamber Business Award winners. Today we conclude with our 2012 Business of the Year, Black Tooth Brewing Company. 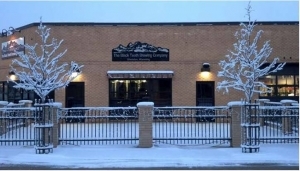 The Black Tooth Brewing Company opened for business in Historic Downtown Sheridan on November 26, 2010, in conjunction with the Christmas Stroll event. Tim Barnes, Travis Zeilstra, and Dr. Michael Strahan set out to provide Sheridan with a unique atmosphere to enjoy handcrafted beer, with the hope that the community would embrace their products and be proud to call Black Tooth Brewing Company “our brewery.” Winning the Business of the Year award after only two years in business is a big step in that reality. 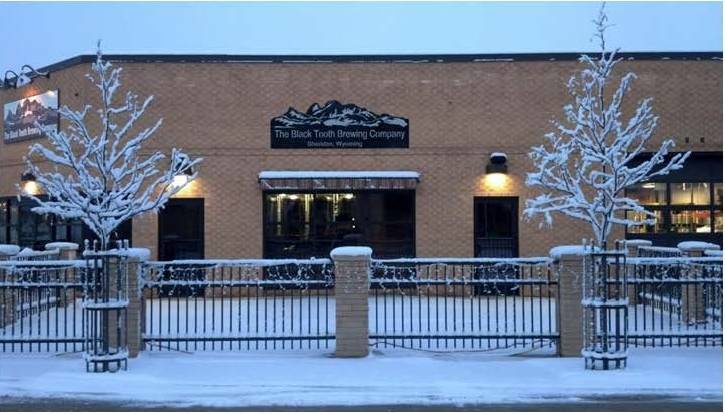 Expansion happened early and often at Black Tooth, starting with the partnership with Sheridan business icon Big Horn Beverage through the signing of a distribution agreement in April 2011. Black Tooth began to distribute four different beers into the five counties that make up NE Wyoming. This required additional infrastructure to be installed, with the first two fermentation vessels arriving in July 2011. This was followed by five additional vessels in November 2012, and a second agreement for further distribution into Natrona and Converse counties through Casper Beverage. But expansion has only just begun, with the coming introduction of Black Tooth Beers in Aluminum Cans projected for Summer 2013. The brewery enters a number of national and international competitions throughout the year and has been awarded 15 medals at events such as the World Beer Cup, The Great American Beer Festival, The North American Beer Awards, and the US Open. This has been highlighted by Gold Medals for Wagon Box Wheat at both the World Beer Cup and The Great American Beer Festival, the two largest beer competitions in the world! Black Tooth was also awarded 5th Best Brewery Overall at the US Open in 2012. It’s equally important to show well regionally, and this is where Black Tooth has excelled – winning the People’s Choice Award at beer festivals in Casper, Jackson Hole, Lander and Sheridan in 2012. Great beer hasn’t been Black Tooth’s only offering. It has been a goal since their inception to become a visible contributor to the Sheridan community. This has been accomplished largely through the use of The Timberline Room at the brewery. This space has been made available for private parties, public meetings, and numerous non-profit fundraising activities – and weddings, retirement parties, annual meetings, training seminars, and even the occasional memorial service. The Black Tooth Brewing Company is extremely proud to be Sheridan’s Local Brewery, and WE are proud to have them in our community.